Vein Therapy | Ohio Vein & Vascular, Inc. 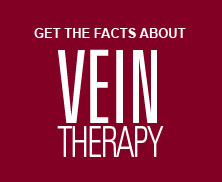 Vein Therapy – Ohio Vein & Vascular, Inc.
Dr. Santin at Ohio Vein and Vascular provides comprehensive vein therapy to patients in and around the Wilmington community. If you are struggling with varicose veins or spider veins and you are ready to seek counsel on your best remedy, please contact us to schedule a consultation. During this consultation we will diagnose your case and make recommended treatment solutions. Blood is pumped through the heart to supply oxygen and nutrients to every part of the body. Arteries carry enriched blood from the heart towards the body parts, while veins carry the nutrient depleted blood from the body parts back to the heart. As the blood is pumped back to the heart, veins have valves that prevent blood from flowing backwards. If a valve becomes weak, blood flow can leak backwards into the vein, collect there, and clog the vein. This congestion will cause an enlargement of the vein. These enlarged veins can be either varicose veins or spider veins. Varicose veins cause a raised swollen area on the surface of the skin. They are dark purple or blue in color, and can look like cords or a twisted mass. They are found most often on the backs of the calves or on the inside of the leg, anywhere on the lower extremity. Spider veins are similar to varicose veins, but much smaller branch-like lines right under the surface of the skin. Spider veins are often red or blue in color. They get their name by their spider web appearance. Spider veins can be found on both the legs and the face. They can cover either a very small or very large area of skin. How Common Are Varicose Veins And Spider Veins? As many as 60% of the people in the U.S. have varicose veins. It is prevalent in women more so than men. Varicose veins develop when your veins stretch and their valves don’t work properly. Primary varicose veins happen when the walls of your veins become weak. Many people get them as they age, as do many pregnant women. Secondary varicose veins are most often caused by problems with veins that lie deep among the muscles and carry about 90% of the blood back to your heart. These problems include blood clots and can be serious. Other factors that weaken vein valves and that may cause varicose or spider veins include obesity, leg injury, and prolonged standing, such as for long hours on the job. Spider veins on the cheeks or nose of a fair-skinned person may occur from sun exposure. Medical treatment usually is not required for varicose or spider veins. However, varicose veins can become quite uncomfortable as well as look unattractive. Varicose veins usually continue to enlarge over time. They can cause the legs and feet to swell. Although severe leg pain is not common, leg muscles may feel fatigued or heavy, or throb and cramp at night. The skin on the legs and around the ankles also can itch or burn. In some cases, varicose veins and spider veins may cause serious problems, and medical treatment could provide relief. If the veins become severe, they can cause a condition called venous insufficiency, a severe clogging of the blood in the veins that prevents it from returning to the heart. This condition can cause problems like a deep-vein thrombosis (blood clot), or a severe bleeding infection. These usually are caused by injury to the varicose vein. A blood clot can be very dangerous because of the possibility of the clot reaching the lungs or heart and causing life threatening results. Lastly, when the skin tissue around the varicose vein doesn’t receive the proper blood flow of nourishments, sores or skin ulcers may develop.